Win a $500 Scholarship from BarCharts! 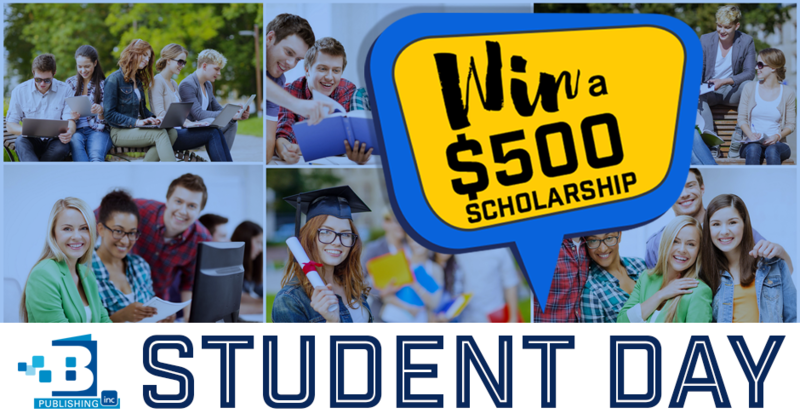 At BarCharts we love our customers and we want them to succeed in school and their careers, that’s why we are giving away TWO $500 scholarships! This year, as a kick off to National Student Day we pledged to celebrate our students and their hard work by making life less stressful. We know how tough (and expensive) college can be, so we want to help lighten the load. If you enter our Student Day contest you could win one of two $500 scholarships towards spring classes. To enter, submit a photo on social media showing your school spirit with the hashtag #QuickStudyScholarship. Not on social media? You can enter your photo online. Contest ends on December 31, 2016. Two winners will be chosen at random and be announced on January 1st, 2017.